There are lots of free and paid online radio services allowing radio lovers to listen to favorite radio stations on the go, such as Pandora, iHeartRadio, BBC iPlayer Radio, SiriusXM Radio, etc. Since we have given the detailed introduction to the first three music services, today, we will concentrate in enjoying SiriusXM Radio better. As an online music and radio service, SiriusXM Radio is only available over the Internet and when you are outside of the US and Canada, you can't connect to the SiriusXM player and app for listening due to region restriction. As a result, there are more and more SiriusXM lovers who are eager to save being played Sirius Radio as MP3 offline. So today, we will show you an effective way on how to record SiriusXM Radio tracks for playing on any player and device. To record and save streaming music, news, sport and talk radio stations offline from SiriusXM Radio, you need to be equipped with a one-stop online radio recording tool. When you search this tool on Google, it will show up kinds of paid or free audio recorders. Will you try one by one to choose the most suitable one for capturing SiriusXM audio tracks? It could a big task and waste your time. To help you get rid of this hassle, we have made the complete comparison among top 5 best SiriusXM radio recording software according to output audio quality, conversion stability and other special features. 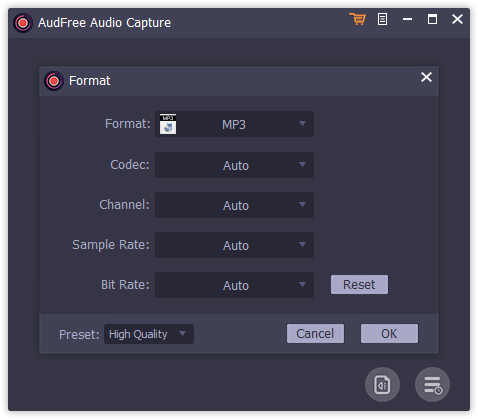 AudFree SiriusXM Radio Capture could be put in the No.1 place, which can record all SiriusXM radio files offline and save them as MP3, FLAC, WAV, AAC, M4A and M4B with 100% lossless quality preserved. So that you can play SiriusXM audios on all players offline as you like. 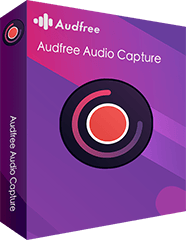 Moreover, you can get the full version of this professional SiriusXM audio capture at 60% off discount from AudFree's Thanksgiving sales activity, which only costs as low as $7.95 (original $19.95). Besides, it also supports free trail version to test its performance before buying. Save recorded SiriusXM radio to MP3, AAC, WAV, FLAC, etc. Record music from SiriusXM Radio, Last.fm, Pandora, BBC Radio, etc. 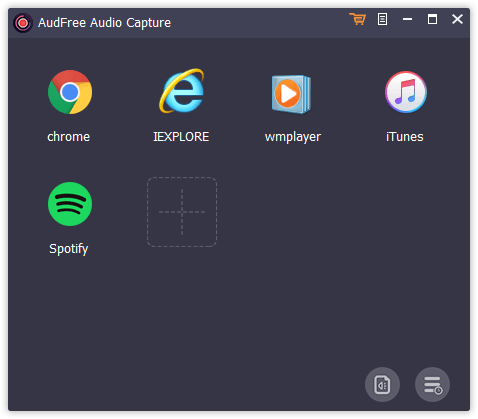 Before get started, please make sure you have installed AudFree SiriusXM Audio Capture on your Mac or Windows computer. The following is a step-by-step tutorial on how to record SiriusXM streaming music. 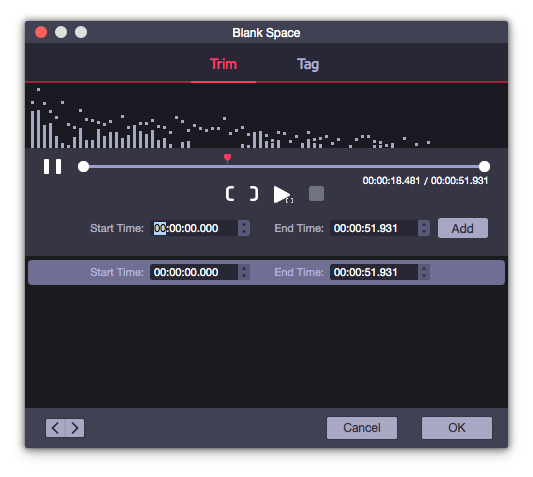 When you launch AudFree audio recording software, you need to check the basic settings. Please make sure the target web browser you will use to enter to SiriusXM Internet radio in the main interface. If not, you can click the big '+' button to add it. Please be well noted that your main interface could be different from the above screenshot. To download SiriusXM music streams to MP3, you need to customize output settings. Just click the 'audio' icon to open setting window, where you can set output format as MP3 or other common audio format and personalize audio codec, audio channel, sample rate as well as bit rate. Get back to the starting window, select the target web browser to SiriusXM Radio and sing in with your personal account details. Now, you can find the favorite online channel and play music or radio you'd like to record, and then you will see AudFree will pop up a recording window recording SiriusXM Radio tracks. When all SiriusXM music tracks are recorded completely, you can click the 'Stop' button or quit up the whole web browser to stop the recording process. Now, you're suggested to launch the edit mode by clicking the 'edit' icon at each track and you can cut SiriusXM recordings to small segments and customize ID3 tags. Once done, please touch the 'Save' button to save all audio files as MP3. When it comes to SiriusXM Radio, actually it means three satellite radio and online radio services, including SiriusXM Satellite Radio, XM Satellite Radio, and Sirius XM Radio, which support clear stereo sound, commercial-free music channels, exclusive artist-dedicated music channels, etc. Sirius Satellite Radio: It comes with 69 streaming music channels and 65 streams of sports, news and entertainments with paying subscription fee. Users can listen to a wide variety of ad-free music streams 24 hours daily. XM Satellite Radio: It's a pay-for-service radio service, which is the same as cable television. It provides 73 different music channels, 39 news, talk, sports as well as entertainment channels, 23 play-by-play sports channels and 21 regional traffic and weather options. Sirius XM Radio: It's the merger of Sirius Satellite Radio and XM Satellite Radio, which focuses on broadcasting new and combined channel lineups to offer more radio and music streams for radio addicts. 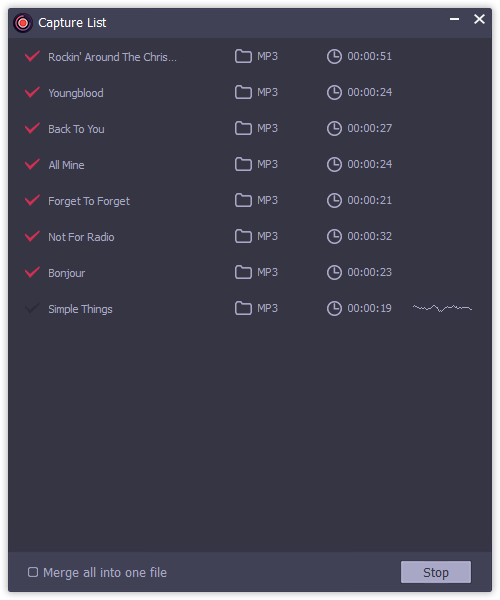 No matter you need to record radios and music streams from which online radio service, SiriusXM Satellite Radio, XM Satellite Radio, or Sirius XM Radio, AudFree SiriusXM Radio Capture can help you losslessly record them as MP3 with all ID3 tags kept. Besides, it's also possible to use this smart audio recorder to record streaming music from other online streaming music services, such as Spotify, Pandora, etc. Anyway, hope your digital radio life could be easier.